i love breakfast; it's the most important meal of the day. i grew up on poached eggs & english toasting bread in the am, only to be occasionally interrupted by a bowl of raisin bran or life cereal & oj. i think that what people eat (or don't eat) for breakfast says a lot about them; my routine always includes coffee & switches between oatmeal with soy milk or an english muffin with laughing cow & jam. 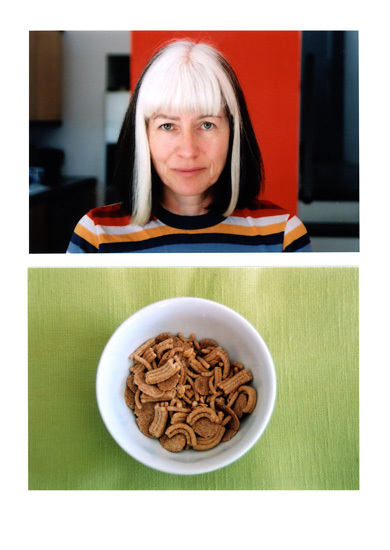 this is why i was excited to see "breakfast" by jon huck. his work will be featured at seattle university lee center for the arts until may 24th. i went to see the sold out lily allen show at the showbox last night. the bird & the bee opened for her; a decent start but a little less energetic than i would've hoped. their song "won't you be my f-ing boyfried" was fun. although sold out, it didn't feel that crowded (at least not compared to the roots). lily allen started right off the bat with "LDN" & continued with her first story of the night about eating too much spicy food & having the shits. she kept the crowd going all night & i was happy to spend the evening dancing. some other highlights of the show were a keane cover, guest appearance of a member of the specials for "blank expression" & finally her cover of "heart of glass." i posted about this scarf earlier & finally brought it to life. i used a blue/grey tweed wool blend & white satin. the scarf is about 60 inches long & 12 inches wide. i sewed a hem around the tweed panel, pinned the satin to the tweed & sewed the layers together. 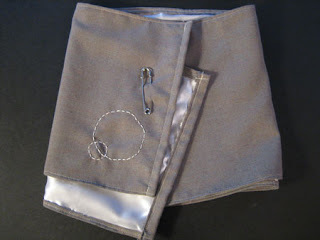 i then used a bright white embroidery thread to stitch the circles through both layers & used a big silver dress pins to hold the scarf together. 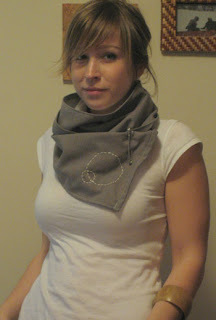 i would like to create softer corners to the scarf & i'll probably throw it in the wash on delicate to soften it up a bit. all in all, i'm pretty happy with my new sewing machine's first job. i'm not quite sure what to say about amy winehouse other than she's pretty amazing: 23, british, hot & soulful. 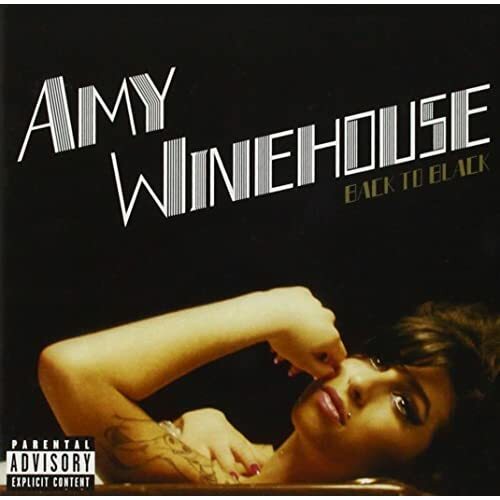 her second album "back to black" is unstoppable & her reputation for partying holds up with friends like ghostface killah. what does it sound like? it sounds straight out of the 60's r&b era with just a little touch of hip hop. she also has a madonna/marilyn piercings which i feel compelled to love & hate all at once. *voila! cute little owl & fawn onesies. happy birthday kacey & thanks to justin & yachi for feeding me & letting me take over their place. it all started with an early morning excursion to south seattle for fabric & feather outlets (where chris & i were both very successful in our purchases). then we moved on to other endeavors including jeans & shaving cream. but the real adventure starts with the rain on the way to the market. we hiked down to get all the goods for our irish dinner that evening. we bought 6 lbs of brisket, 2 lbs of mussels, 1 lb of clams, a monster bag of vegetables (from a very entertaining vendor), a few cloves & we were off...back up to the hill with just way too much in our hands (bear in mind that at this point chris is dealing with the most burnt out, cranky 25 year old in seattle). we got to my place where the cooking started. 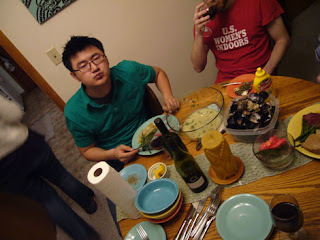 the full menu ended up starting with pesto/goat cheese covered portobellas, mussels & clams in a garlic butter sauce, brown soda bread, green beans, corned beef brisket & cabbage with potatoes & carrots & finally cupcakes with green frosting & sprinkles. the night continued on & was filled with 6 bottles of wine, two cases of beer (good ol' beer pong), cribbage, dancing & finally the canterbury. see more commentary at allyourmuscles & pics from justin. check out eric's pics too. thanks again to t & chris for helping me pull off dinner for 15.
on saturday while chris & teresa snapped green beans, i worked on these coasters. a simple craft using foamcore board, printed vinyl, mod podge & an exacto knife. i have an endless supply of foamcore because tracy at my office is nice enough to give me all the foamcore scraps that she would usually throw away. 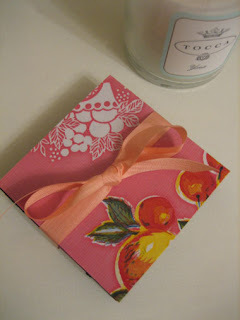 i also had some printed vinyl (picnic table cloth material) & mod podge on hand. so i coated on side of the foamcore with mod podge, laid the vinyl on top, let dry & then cut into 4 3x3" squares. *voila, kitschy coasters. logan hicks is a stencil artist whose collection is now at blvd gallery. i had heard of him before, but was really excited about his show after visiting his blog, workhorse visuals. originally a screen printer, he takes photographs, creates intricate stencil layers & then spray paints each layer. his work has a very urban & distressed feel, while his color palette leans towards silver, black & primaries (red & blue). i recommend looking him up on youtube or visiting his site. 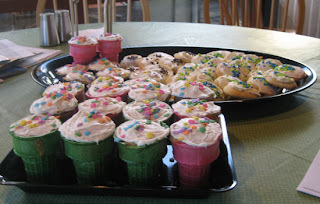 i have fond memories of bringing cupcakes baked in rainbow sugar cones in to school for my birthday, maybe from second or third grade. they've been the topic of birthday treat conversation at my office for a couple months now & today that memory was recreated. it was really simple: i bought pillsbury confetti cake mix, sugar cones, cream cheese frosting & used my mass supply of sprinkles already in the cupboard. just bake like normal cupcakes with the cone as a paper cup replacement. yummy. i also made sour cream cookies with cream cheese frosting; it's a recipe that has been in my family for over 4 generations (usually reserved for christmas cookies, but my birth is comparable to christ right?). i really just love all things coated in frosting & sprinkles. ta-da! 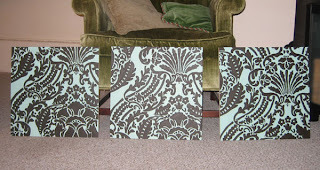 i finally finished my series of damask patterned paintings. the process was simple, but slow. 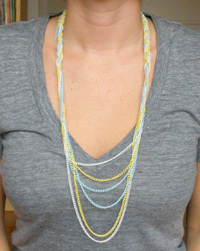 thank you to natalie @ craft: for posting the project! on to screen printing this week.